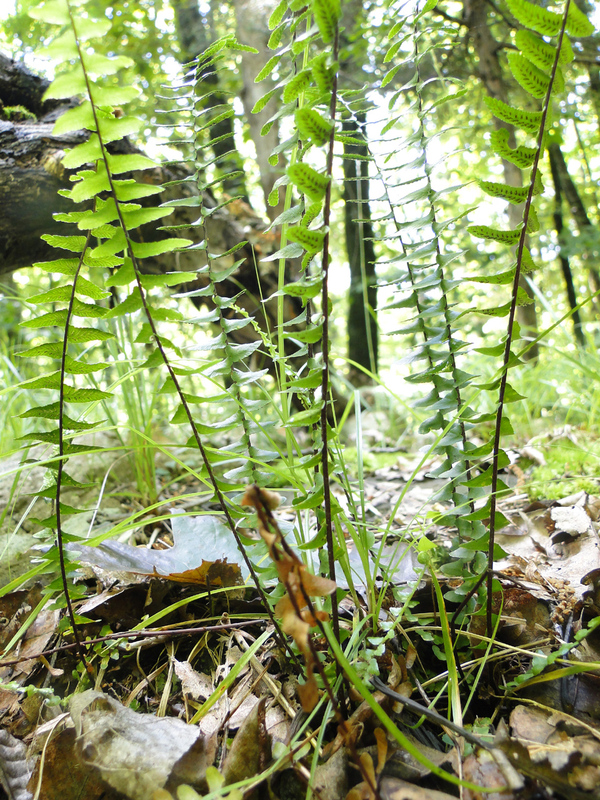 Ebony spleenwort, characteristic of rocky ridgetop critical habitats, regardless of the type of bedrock. I am often asked, just what is a critical habitat, and is it protected or not? My answer is drawn from a hybrid DEEP document (map plus explanations and keys) called “Critical Habitats” last revised in 2011. Recently retired DEEP plant ecologist, Kenneth Metzler wrote: “t hese habitat types have a long history of conservation interest and have been documented and studied as being among the most rare, unique, and threatened, habitats in the state. ” Critical habitats support uncommon ecological communities, because their geology, soils, and/or hydrology are distinctive, which also confers scientific, educational and heritage value. They each support a characteristic and unique suite of plant and animal species. 25 upland critical habitats were identified in the Connecticut Comprehensive Wildlife Conservation Strategy (CWCS). The intent of the DEEP document is to help towns with their conservation planning – not to ban development of all critical habitats, but as a planning tool, to prioritize open space protection initiatives, in conjunction with other conservation planning principles: minimize habitat fragmentation, and maximize the size and ecological integrity of protected tracts. www.cteco.uconn.edu is the URL. State statute does include protections for endangered and threatened species. Critical habitats are a good deal more likely than the average field or woodlot to include state-listed species (Endangered, Threatened, and Species of Special Concern.) Each critical habitat also has many other unusual plants and animals that don’t quite “make the cut” for Connecticut’s List – pitcher plant in a Black Spruce Bog, for example. Also expected in a critical habitat are rare species among the understudied life forms like lichens, mosses, and soil microbes. These life forms are simply missing from the Connecticut Natural Diversity Database (NDDB) lists. Potential rare species are likely to be missed by a targeted search for one or two species, especially because they are readily detected during a short window. Plant seeds may lie dormant in the seed bank, sprouting only in certain years. Many small plants are usually overlooked, even by botanists, except during a brief window when they are in bloom. Most insects, including butterflies and moths, are detectable only for a brief portion of the year. Rather than doing exhaustive, specialized searches, it is less expensive and simpler, to determine whether the expected suite of diverse, characteristic plant species is present, and if it is, to protect the critical habitat. 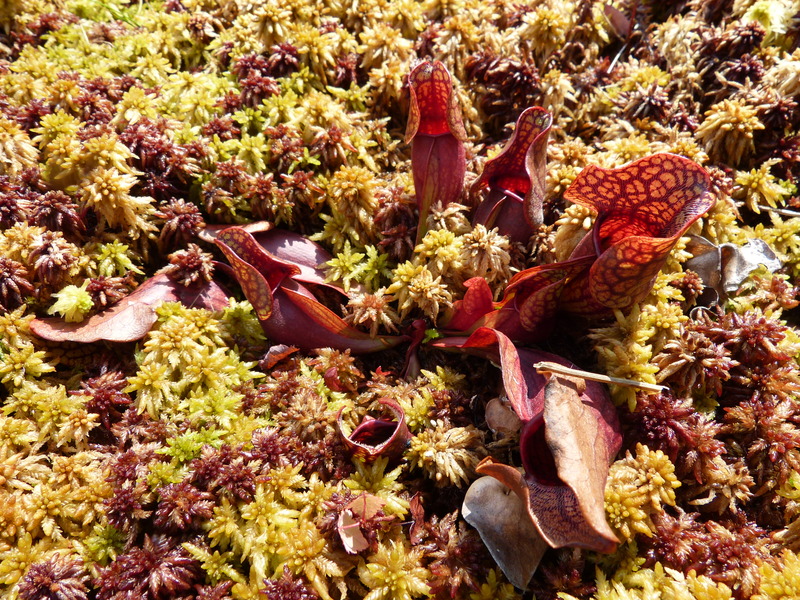 For example, we assessed a pristine black spruce/white cedar/ sphagnum bog recently, with hundreds of pitcher plants. The targeted listed species are insects that feed on pitcher plant; we are recommending conservation of the whole bog with a wide buffer, with no need for a search for the tiny rare insects. A bog in Canterbury has 100’s of of pitcher plants, and land use boards fully understand that this critical habitat, and must be fully protected. 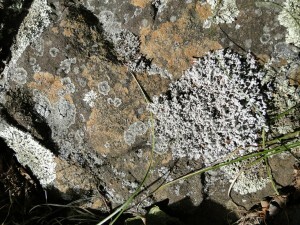 ; the biodiversity value of rocky outcrops is less widely understood. Bedrock outcrop in Essex. A full inventory of the hilltop plant community is not possible outside the growing season. We recommended including the entire hilltop in the open space portion of the subdivision. The “critical habitat” label is a flag for land use planners to commission a thorough inventory and to search for rare, state-listed species in multiple seasons, before the area is developed, and if possible over a several year period. Critical habitat status alerts planning boards that a property is likely to be a desirable, interesting destination for recreation, and a potential site for nature study and/or scientific investigations. Trails, towers, boardwalks, maps, and informative web sites can enhance these human values. Excessive human use may degrade them, but more often they are protected by human intervention, such as invasive plant control or occasional tree-trimming to maintain an open critical habitat. Public education on a critical habitat helps with its long term protection. 2) Outcroppings, ledges, cliffs, and rocky, open summits, with pockets of mineral-rich soil. These are defined as critical habitats in the ECO key, regardless of bedrock type. The status of these less well known critical habitats is not widely understood by regulators, natural resource professionals, and the general public; as explained above, official DEEP Critical Habitat status does not confer protection from development or quarrying, unless the areas are demonstrated to support Endangered or Threatened species. However, CTDEEP typically requires a survey for rare species by an expert, if a development site includes a known critical habitat. Floodplains are protected, but the main reason is avoidance of flood damage. Protection for privately owned rocky knolls and summits is still lacking in most town zoning regulations, despite official DEEP Critical Habitat status. For the volcanic traprock ridges and certain ridges with amphibolite minerals, there exists already a model ridgeline protection ordinance, based on a CT Statute (Sections 8-1aa and 8-2 c), incorporated into the zoning regulations of some towns. This ordinance applies only to the more dramatic, high ridges, though low ridges, if reasonably undegraded by man, also include critical habitats with characteristic and unusual traprock geology, botany, and fauna. Zoning regulations can also be amended to protect better natural features meeting certain criteria with value for the community as a whole: heritage value, outstanding aesthetics, or historic, scientific, and/or educational interest. Protection of these natural features can also be a goal guiding open space acquisition activities by municipalities, the state, and private land trusts. However, consistent with the Connecticut Comprehensive Wildlife Strategy, the long term welfare of the fauna and flora will better served by one sizable (e.g. over 100 acres) preserve with a few critical habitat pockets, than by multiple critical habitat pockets (rock outcrops) in a matrix of small woodlots and development. DEEP has been refining its list of “Critical Habitats,” for many years, building off those identified by Joseph Dowhan and Bob Craig in Rare and Endangered Species of Connecticut and their Habitats (1976), with descriptions of all of the State’s Ecoregions (DEEP Natural Resources Center Report of Investigations No. 6.) My associate, George, and I have referred to this red book so much in our ecological consulting work, that both our copies are tattered. For over a decade, natural resource professionals cited the List of 13 Imperiled Habitats developed by Ken Metzler of CTDEEP and David Wagner of the University of Connecticut at Storrs. It includes one difficult-to-map habitat: “headwaters springs and seeps” that is not on the current DEEP critical habitat map key, although it is a fragile habitat for multiple rare and uncommon species, and crucial for the health of larger streams and rivers. Better consistency is needed between the Imperiled Habitats List and the new CT ECO document. The current CT ECO (Connecticut Environmental Conditions On-line) classification system includes a map showing the larger critical habitat units, and also a key with detailed definitions of each critical habitat. Since the scale of the map is such that most occurrences are omitted and since much of the state has not yet been surveyed, the introduction and the key are actually the most important parts of the document. A fine introduction is Dr. Robert Craig’s book Great Day Trips to Connecticut Critical Habitats (2004), which is available, used, on line. This readable book is a guide to actual examples of fascinating critical habitats, accessible to the general pubic, with much thoughtful, scientific explanation. Foremost a bird expert, Bob Craig now runs Bird Conservation Research, Inc., a non-profit in Eastern Connecticut. I knew him twenty years ago in grad school at the University of Connecticut at Storrs. The group of critical habitats associated with The Metacomet traprock ridges occupies a tiny fraction of the state of Connecticut, but is nevertheless extensive enough to support large metapopulations of both common and uncommon plants and animals. The river floodplain habitats are include unusually large critical habitats, ecologically and genetically linked by flowing water. I keep encountering morphologically distinctive plant varieties in these critical habitats, and realize that genetic variability also encompasses unseen metabolic characteristics, that will help plants adapt to ecological change. A gene pool with hundreds or preferably thousands of individuals is needed for a good prognosis for long term survival in the face of climate change and other disturbances. Horticultural and landscaping potential and even potential for medicinal use are other reasons to preserve the botanical biodiversity in critical habitats. 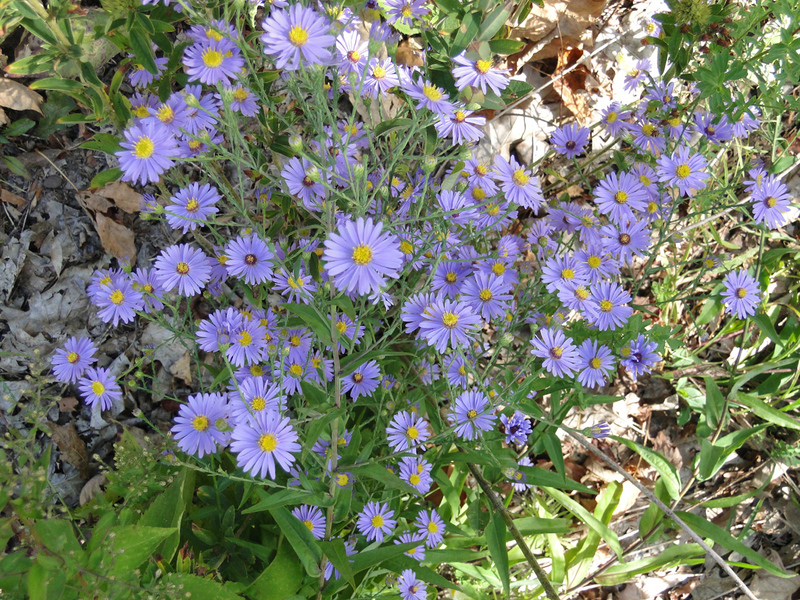 For example, the smooth aster variety shown below (Symphiotrichum laevis) is bushy & colorful, and tolerates a dry, rocky site on West Peak of Meriden’s Hanging Hills. It is a lovely and ornamental perennial wildflower, and would be well suited to xeriscaping. Impressive data for many traprock taxa has been collected as part of development applications, such as the gas plant application on Cathole Mountain in 1999. The Connecticut Botanical Society and the local bird clubs have long term data from many field trips to subacidic and rocky critical habitats. Glade habitat on West Peak of the Hanging Hills, in Meriden, June 2011. 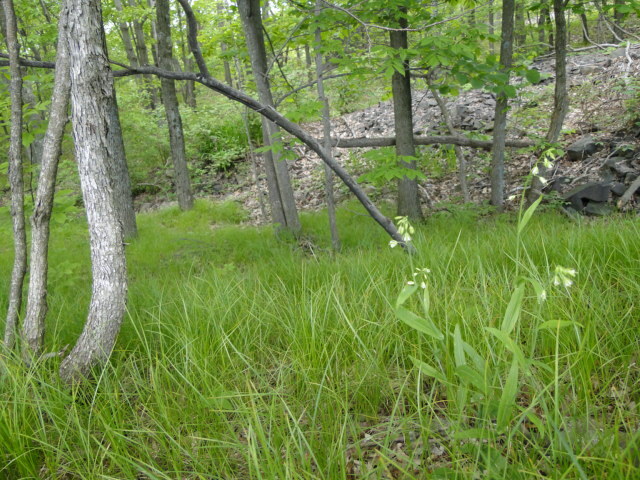 The grassy “lawn” is Pennsylvania sedge, and the flower is smooth rock cress, the food for the caterpillar of the endangered orange falcate butterfly. Hop hornbean, a typical glade tree, of subacidic, mineral-rich soils, at left. A talus slope is in the background. 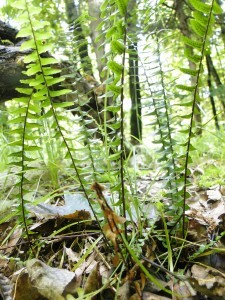 The complex of critical habitats on the Metacomet traprock ridges has large populations of characteristic species like ebony spleenwort, bottlebrush grass, dwarf saxifrage, and hop hornbeam. They are not Endangered or Threatened species, protected by state statute, but are still species that are scarce in the surrounding, fragmented suburban landscape. Other species like Eastern box turtle and Ribbon snake, are listed as Species of Special Concern, such that CTDEEP can require searches and management plans, but cannot prohibit habitat development. Similarly clusters of crystalline bedrock outcrops in several sizable forested tracts along the Connecticut coast (including “The Preserve” in Essex and Old Saybrook) also support robust populations of Special Concern reptiles, and metapopulations of uncommon, rocky-site plant species like smooth foxglove and orange-fruited horse gentian. Along river floodplains, flowing water and waterfowl disperse seeds and link small stands of rare and uncommon plants, like Davis’ sedge, into larger genetic metapopulations. For some taxa, a critical habitat need not be large and continuous so long as other examples are within dispersal distances for seeds, pollen, moths, etc. Such a parcel of critical habitat is still part of the overall unit, from a genetic standpoint. The on-line CT ECO map includes the large, contiguous well-known examples of critical habitats. Many other smaller examples are also worthy of study and protection, if they have not been severely degraded by invasive species or past farming. Critical Habitats that lie within a much larger matrix of natural habitat are especially valuable from an overall wildlife conservation standpoint, especially for forest birds, large mammals, and for vernal pool amphibians. Example are the summits of Connecticut’s northwest hills; the extensive rugged forests with many bedrock outcrops in the undeveloped parts of Essex and Old Saybrook; and Cathole Mountain; and the Silvio Conte wildlife Refuge along the Connecticut River. The lower forested slopes of traprock and limestone ridges are not critical habitats, but they greatly increase the width and size of the habitat blocks. They also help protect the critical habitats along the ridge lines from colonization by invasive plant species. 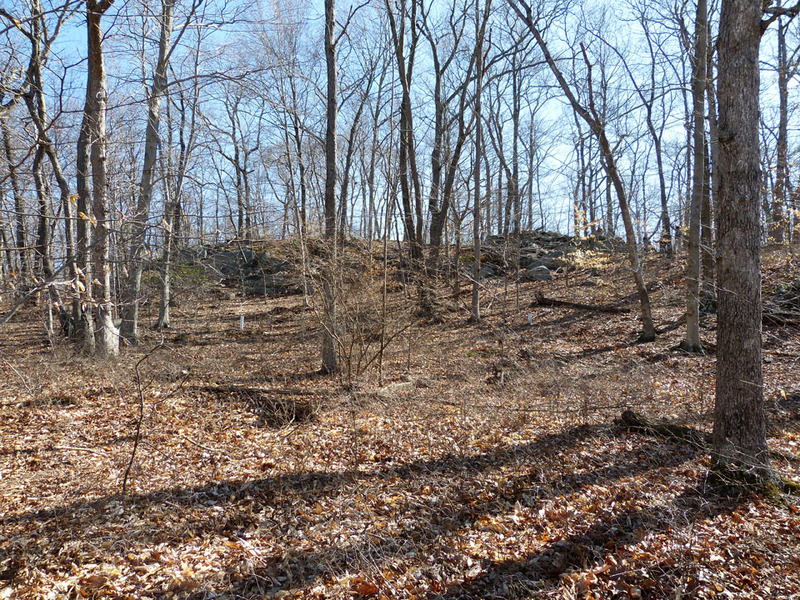 For example, the large, latent Summerlin Trails residential project on Cathole Mountain, as initially conceived, would avoid the upper ridge crests and critical habitat areas, but would much reduce the size of the overall habitat block, with potential to harm vernal pool species and area-sensitive forest bird populations. Ample interesting material is available for outreach on critical habitats. A newspaper article or radio program could use examples of success stories, like Hubbard Park in Meriden and Quinnipiac State Park along the floo0dplain of the Quinnipiac River; of dramatic battles, like that over development of a pristine section of Cathole Ridge off Kensington Road in Berlin and of Cedar Ridge in Newington with outcome still unclear; and of destruction like the mined section of Corporate Ridge in Rocky Hill. Media outreach could revisit the volcanic geologic history, and past dramas, like the story of the now-defunct gas powered plant on Cathole Mountain in Meriden. It could remind the public and the land use boards of the successful campaign, led by Norm Zimmer in the 1990’s, for a Ridge Protection Compact. This entry was posted in Botany, Invasive Species, Soils, Uncategorized, Water Quality, Wildlife Habitat. Bookmark the permalink.